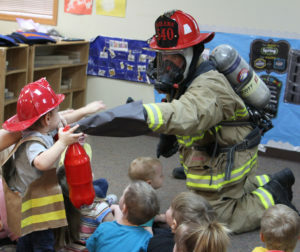 The first week of April was recognized as Community Helpers Week at Learn and Grow Depot in Abilene. 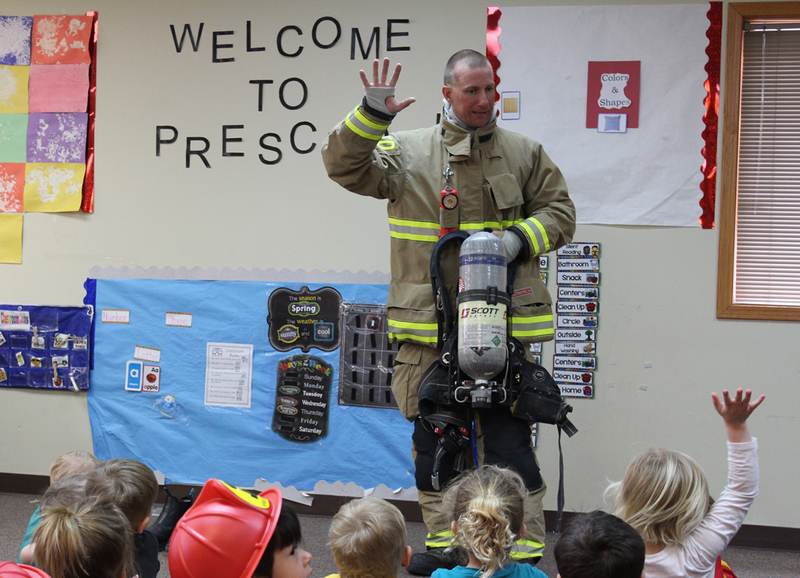 As part of the week, Jeremy Stuck with the Abilene Fire Department spoke to some of the children about fire safety, what he would look like when fighting a fire, some of the equipment used to fight fires, and brought one of the fire trucks for the children to see. 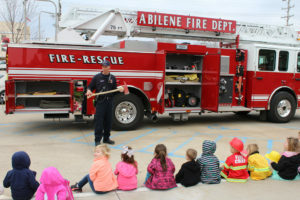 Learn and Grow Depot thanks Jeremy, and the Abilene Fire Department, for taking time out of his busy schedule to speak to the children about his occupation.